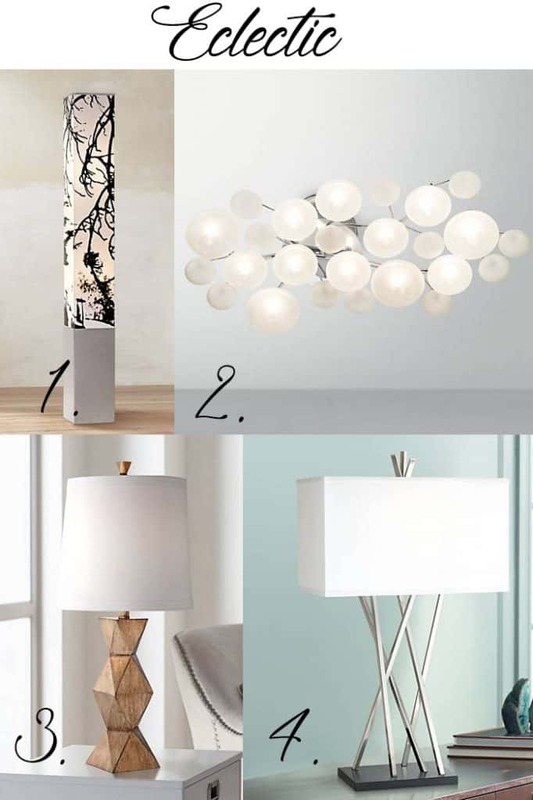 Lamps are a great (and often inexpensive way) to totally transform your space! 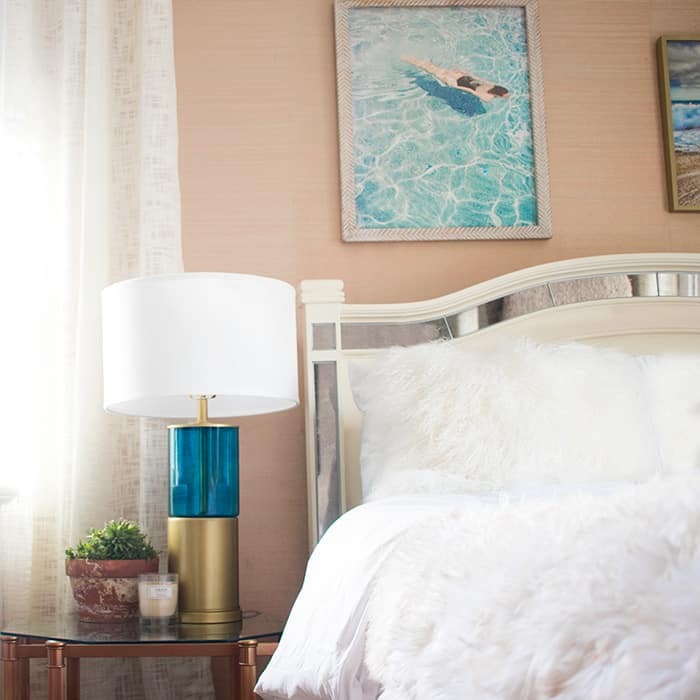 I love the soft glow table and floor lamps give off, so I usually rely on them instead of overhead lights. 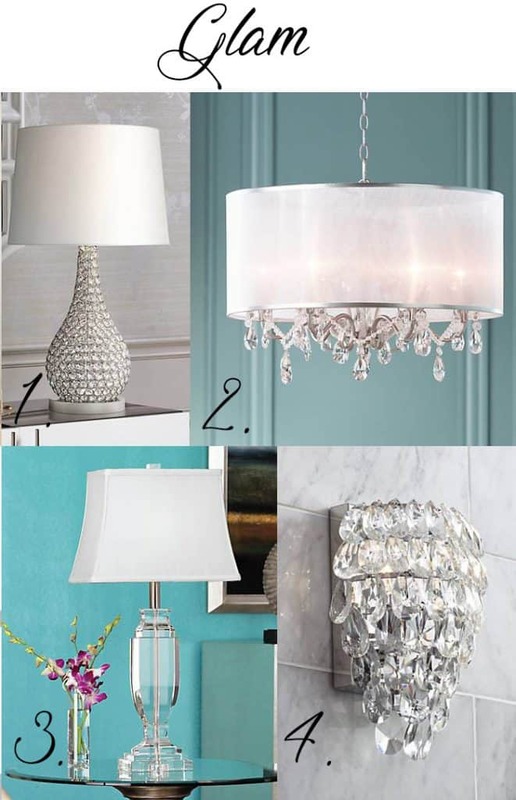 Finding the perfect lamp to fit your decor style can be a challenge. 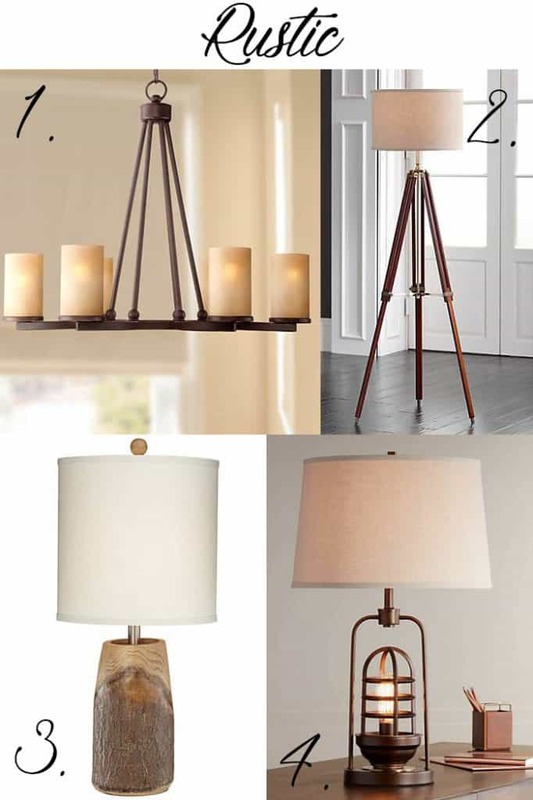 In the past I’ve been guilty of buying a lamp because I loved the style, bringing it home and then realizing that it totally doesn’t fit in with my decor. 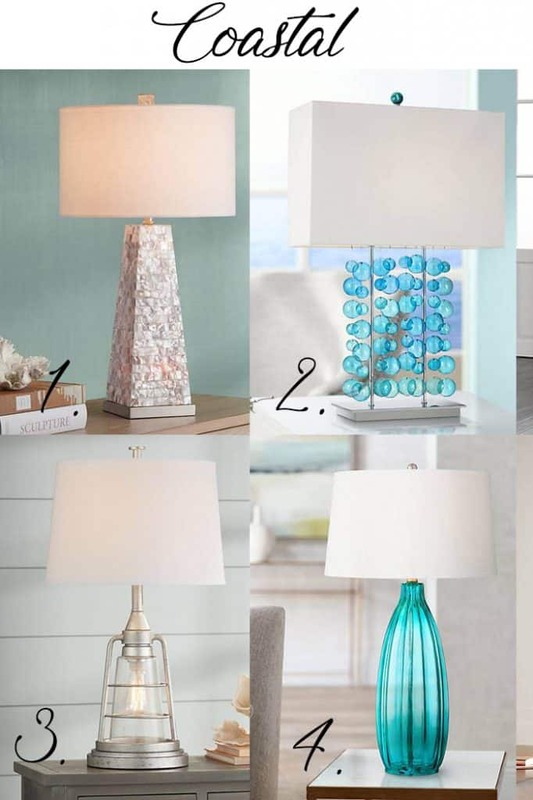 I teamed up with Lamps Plus to show you a few styles I picked for my home as well as a guide to help you find the right lamp for your style. 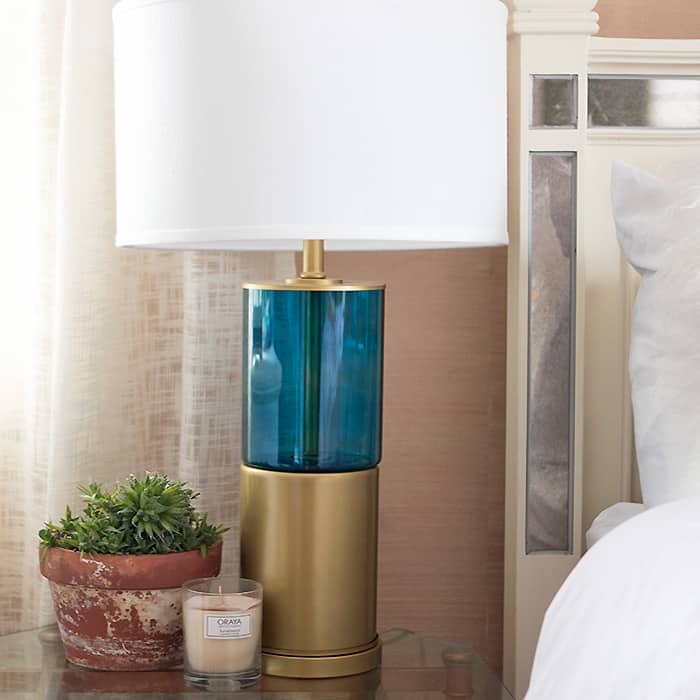 My home decor has a coastal vibe, so naturally I loved the blue glass accent of this lamp. 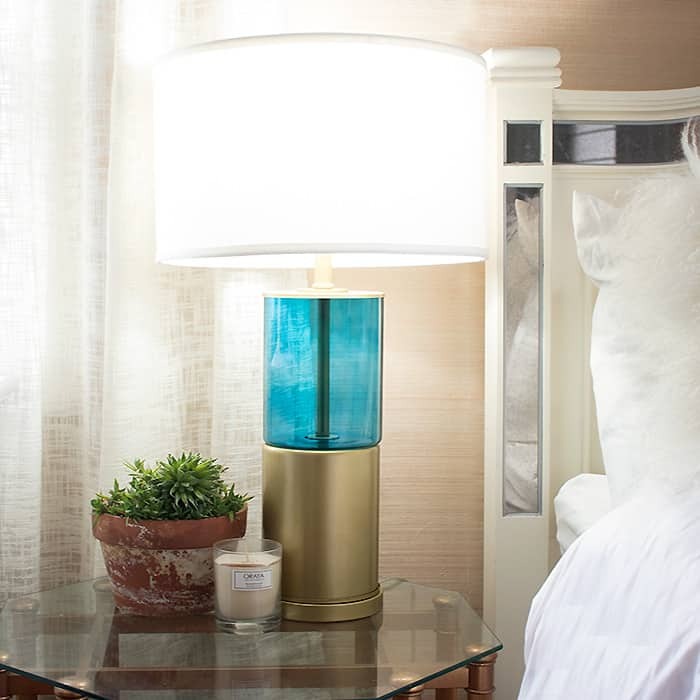 It looks especially pretty when the lamp is turned on. The other lamp I choose was for my office. 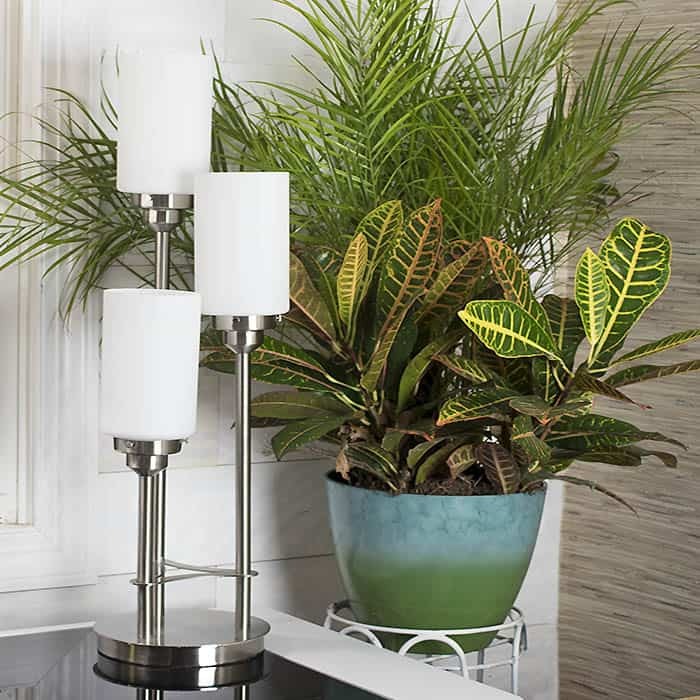 The decor in my office is a bit more modern so I thought this Pilar Modern 3-Light Brushed Steel Table Lamp would be a good fit.